Help Minimize the Wrinkles on Your Face With a Vampire Facelift. Doctor Amit Chitalia M.D. Looks Forward to Helping You Achieve the Look You Always Wanted. Get Younger Looking Skin Today. Call for More Information at (973) 320-7347, or You May Book an Appointment Online. We Are Conveniently Located in Florham Park, NJ. If you’ve kept up to date on celebrity and beauty news at all, then the Vampire Facelift should sound familiar to you. At first thought, the Vampire Facelift may sound like a strange trend, and some people do not it take it seriously. However, the Vampire Facelift is a proven, effective, and minimally invasive beauty procedure that delivers great results for patients of all ages who are looking for youthful skin. At Omega Medical in Florham Park, NJ our team offers the Vampire Facelift in a safe and comfortable environment. Our clinic is centrally located and accessible to patients, and we offer a large variety of med spa services to the Florham Park area. We know that there are endless options out there when it comes to medspa procedures, so our experienced professionals will work with you to find the best option for your beauty needs. Rather than rushing you through the facelift process, we will work with you to answer any questions that arise about options and what benefits your skin the most. What exactly does the Vampire Facelift involve? The Vampire Facelift is a procedure that combines dermal fillers (hyaluronic acid), Platelet Rich Plasma injection therapy (PRP), and a skilled med spa professional. Similar to the PRP therapy procedure, blood is taken from the body, centrifuged to separate plasma, and then re-injected into the face. This works to rejuvenate your stem cells and build new tissue, which leads to fresh and younger looking skin. It is a natural way to receive a facelift, and is minimally invasive. Is the Vampire Facelift safe and does it hurt? Yes, the Vampire Facelift is very safe and effective! Because it only uses your own blood, it is a great option for a safe way to receive a facelift. The injections may be irritating to some patients with sensitive skin, but overall very few patients report pain. There is the option of receiving numbing agents as well. How do I begin with getting a Vampire Facelift? 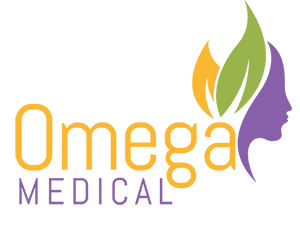 If the Vampire Facelift sounds like the right option for you, then we welcome you to schedule an appointment at Omega Medical today! Our team can take time to inform you about the benefits of the facelift, and provide an initial consultation. We are serious about providing each patient with a personalized med spa experience, and want to find the perfect option for your beauty needs.